There's not really much to say about these. I love the blue/green one! Oh wait....... I do have a little to say about this one. When trying to explain to my mum what kind of fabric she should look out for I went on ebay and showed her a vintage sheet. "Remember this mum? It's the one I had on my bed"
"Oh yes, your Grandma bought it. I think it's in the attic somewhere." "Are you sure? I'm think you used it when the dog had puppies"
There are two duvet covers that I remember from my childhood. This one and a blue geometric one (which I'm pretty sure was also used as dog bedding) I loved both of them, but this was my particular favourite. Imagine my delight when the very day after having this conversation with my mum I found this pillowcase at a boot sale for the princely sum of 20p! Mum has also told me that she's pretty sure that there was a valance to go with the duvet cover and that she'll have a look in the attic for me (I'm not holding my breath). 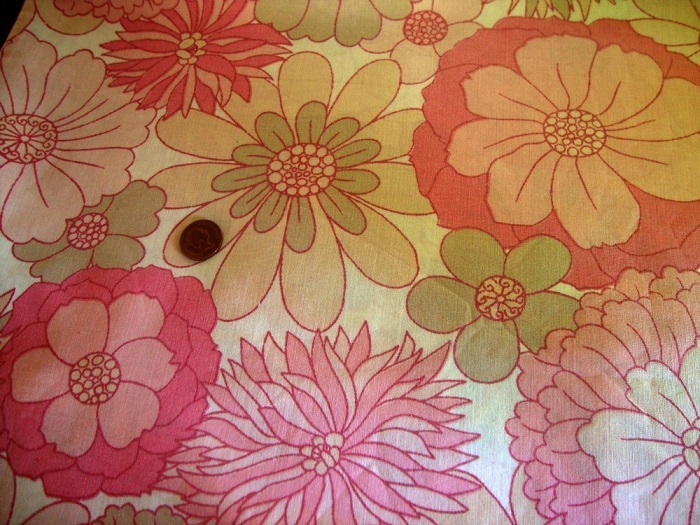 I plan on collecting more vintage bedding and eventually making a quilt from it with this print taking centre stage. That quilt will be mine, mine, mine! Great vintage sheets finds. Who doesn't love a good deal :) Nice stash additions. I'm not really a vintage girl but I can understand your excitement. Fingers crossed. 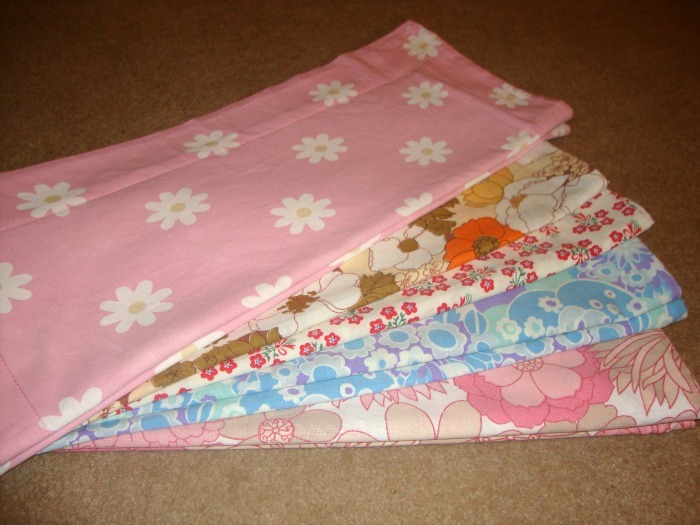 I love using vintage sheets for the backs of my quilts and I've also made a few where the sheets were the front too. The pink floral is great and the blue/green is probably my favorite! 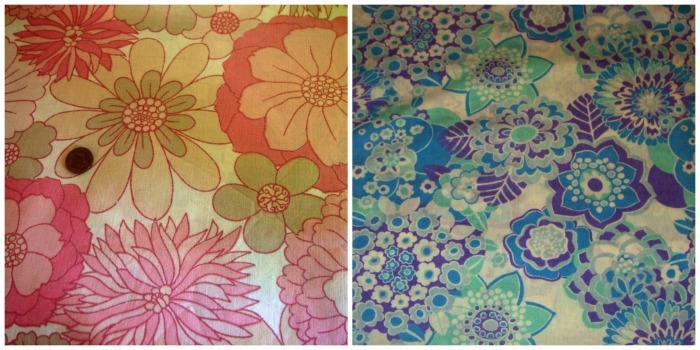 Fabulous vintage sheet finds! Keeping my fingers crossed for you that there's treasures in the attic. More car boot bargains! You lucky thing, they're fab! Love the new prop too! 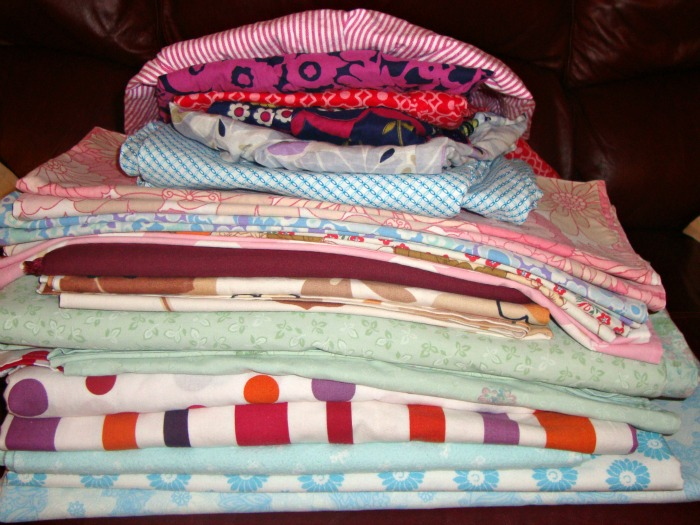 I did collect vintage sheets for a spring quilt which I am yet to make...so I understand your excitement too.